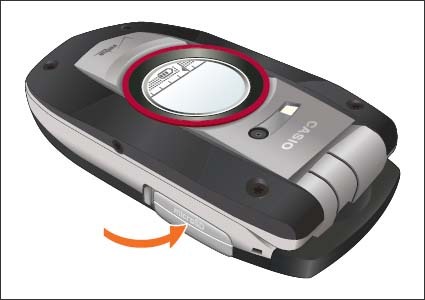 From the right edge of the device (display facing up), open the memory card slot cover. Press in then remove the memory card as shown. 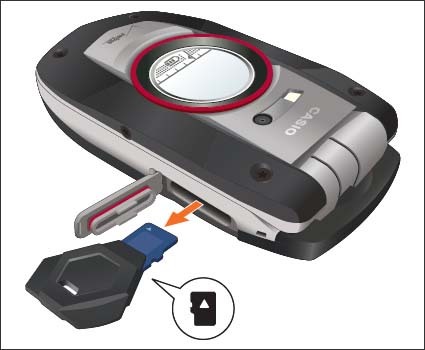 If necessary, use the corner of the Device Lock Tool (comes with the phone) marked with the Memory card icon to grasp the card. 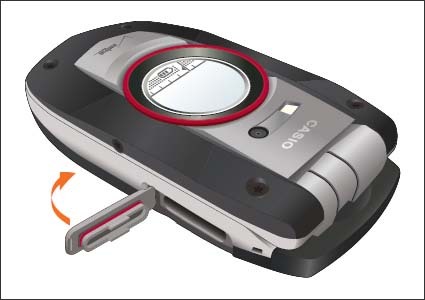 Close the memory card slot cover.